My last chemotherapies have been truly enjoyable. Not in the sense that I like them, but in the sense that they have minimal consequences, I felt well, I had no nausea or side effects, just some sleep. This last chemotherapy even took a part the same day and another two days later. I think it's good to share the experience of chemotherapy he did not have to be traumatic but quite the opposite. I think a good physical and mental preparation helps us through it so that if it seems to us, it becomes a real therapeutic and healing instance. So I assumed me. I assumed that if I had decided to have the same he would do relying in the first instance if I am going to submit to pump chemicals into my body there is a positive result that I'm pursuing long-term hope these chemicals contribute to achieving . Therefore, the first thing is that I assumed I wanted to do what he was doing. Then I assumed the days before high calorie diet with plenty of fruit and vegetables varied and I started to feed a great time. I've prepared everything, but show my menu to the day before chemotherapy, a warrior menu that would guarantee me go with all possible energy in my body. For starters, in the morning, beaten with an array of fruit, peach, orange, strawberry, apple, pear, banana and pineapple. All fresh, not canned worth. fruit with bread, chia Goyi berries, raisins and coconut. That was my chemo before breakfast too. 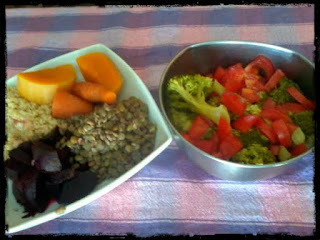 For lunch and dinner, another array of food, brown rice, carrots, squash and beets, lentils and fresh, broccoli and tomatoes. All the blender and face the chemo as a champion. I think the main thing in my last chemotherapy is having eradicated the fear of the consequences. I did not need absolutely no complement for nausea in terms of medication and I felt great. I think we sold a little fear of repercussions and consequences of chemotherapy and that is a tremendous medical and therapeutic error. No doubt at different doses, combinations and different types of chemotherapy resulting consequences but I am convinced that the willingness with which we will face the decisive instance is then how we live the consequences.